X-ray Inspection Technology in PCB Assembly_Shenzhen ZhongFeng Electronic Technology Co.,Ltd. In recent years, area array packages including BGAs and QFNs, flip chips and CSPs are widely used in all kinds of fields such as industrial control, communication, military industry, aerospace etc, making solder joints hidden under the packages. This fact makes it impossible for traditional inspection devices to play their role perfectly in PCB inspection. In addition, since the appearance of surface mount technology (SMT) that makes both packages and leads become smaller, traditional inspection methods including optical, ultrasonic and thermal imaging are insufficient because PCBs have higher density with their solder joints hidden and holes buried or blind. Besides, with the increasing miniaturization in terms of semiconductor components package, while considering X-ray inspection system, the trend of both present and future component miniaturization can' t be neglected. 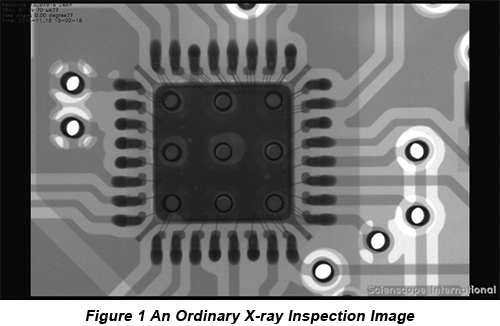 Compared with other inspection methods, X-ray is capable of penetrating into inner packaging and inspecting the quality of solder joints. That's why it is picked up. a.X-ray tube type: open tube or closed tube. This type is correlated with the resolution and lifespan of inspection devices. The higher the resolution is, the more intricate and delicate details users will see. If the target inspected is at a large scale, then it won't matter when you choose the device with a relatively low resolution. However, as far as BGAs and CSPs are concerned, the resolution of 2?m or smaller is required. b.Target type: penetrating or reflective. The target type plays a role in influencing the distance between the sample and X-ray tube focus that will eventually influence the magnifying times of inspection devices. c.X-ray voltage and power. The penetration capability of X-ray tube is proportional to the voltage. When voltage is large, objects with higher density and thickness can be inspected. When the inspected target is single-sided boards, devices with low voltage can be chosen. However, when the inspected target is multi-layer boards, high voltage is required. As for the certain voltage, the image definition is proportional to X-ray tube power.